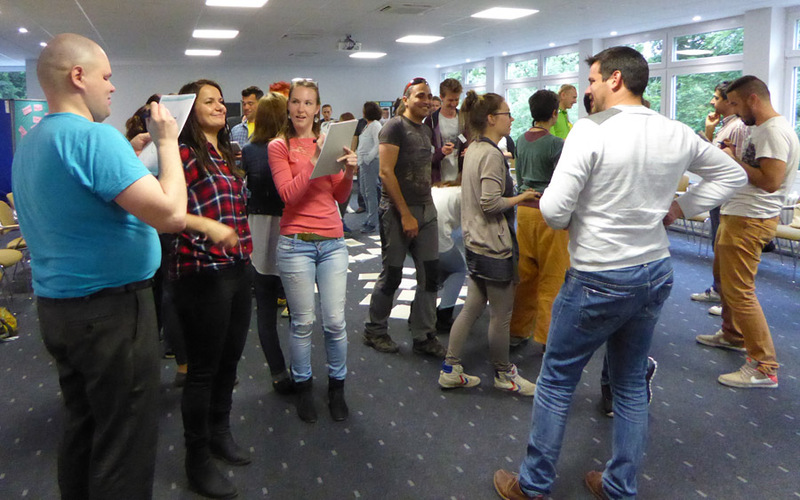 Motivating young people to get involved at the location and on the European level: To reach this goal, 30 youth work institutions from 15 European countries united to become the “Generation Europe” network. From the 20th to the 26th of September, the participating youth centres, associations, unions, and institutions will transform the European Youth Education and Meeting Centre in Weimar (EJBW) into a laboratory for new approaches of European democracy education. “Active European Citizenship” – using this perhaps somewhat unwieldy concept, the participating organisations describe their shared commitment. It means participation instead of resignation, hands-on-democracy instead of frustration about “the powers that be”. In all 30 participating cities, youths are meant to identify problems at the location and develop local action plans. These plans will then be discussed at European youth encounters and realised by the youths with the help of their European partners. Already this autumn, the first ten youth encounters as part of Generation Europe will take place. From October on, youths from other European countries will travel to Brno (Czech Republic), Minsk (Belarus), Florence (Italy), Valencia (Spain), Sofiko (Greece), as well as to Munich, Groß Thurow, Oberhausen and Bochum (Germany). There, they will bring life and vitality to their new project partnerships.